I created Sweet Baby Skin Set in response to a request from my friend for curly hair. 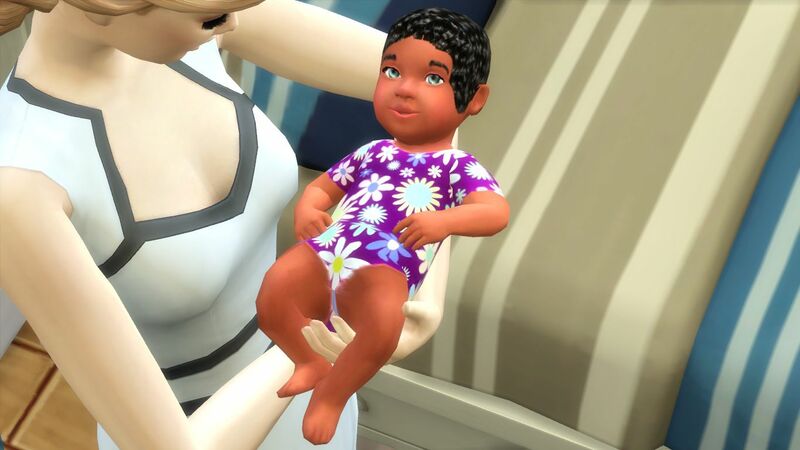 This set is based on my previously released Baby Love Baby Skin Set, but it includes new hair, eyes, and clothes for fair, medium and dark skin tone babies. This set doesn't include alien baby skins. The download link and install instructions are given at the end of this post. I used my Baby Love Skins as a base for skins of this set. 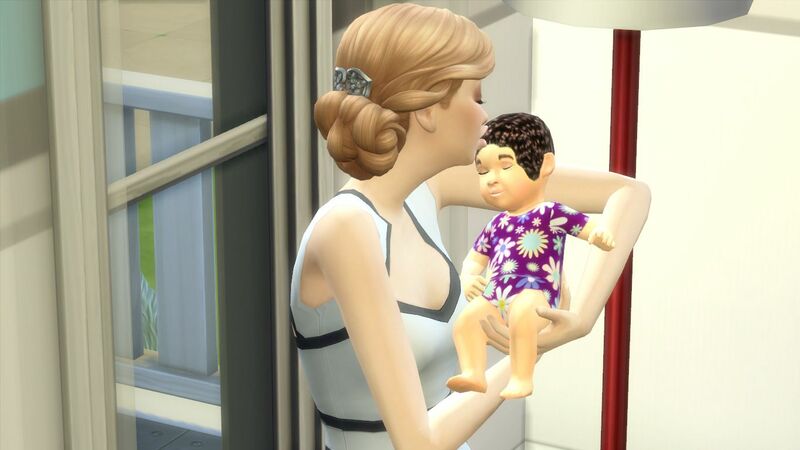 So, you need to install at least one skin from Baby Love Baby Skin Set in your game for these skins to work. 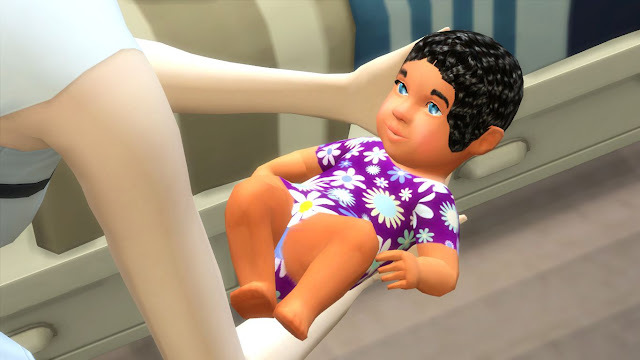 For example, if your babies have fair skin tones, install the fair skins from this Sweet Baby Skin set and install any one random skin from Baby Love Baby Skin Set except the fair skin tones. 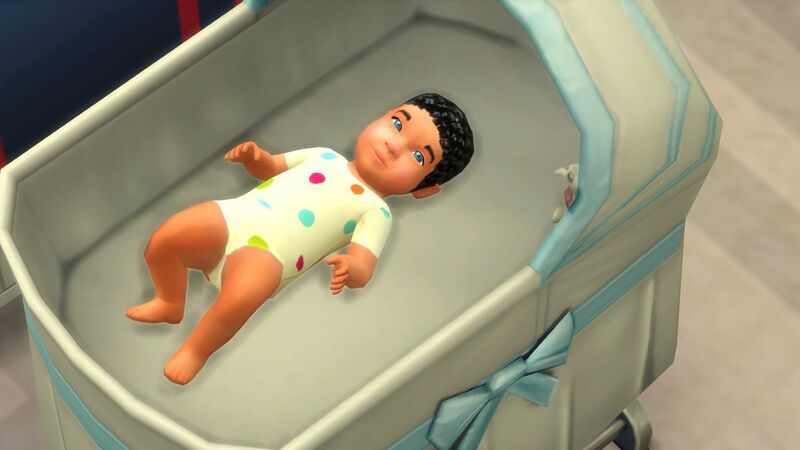 Those who have my Baby Love Baby Skin Set already installed in their game, they can just replace the particular Baby Love skin tones with the skins of their choice from this Sweet Baby Skin set. 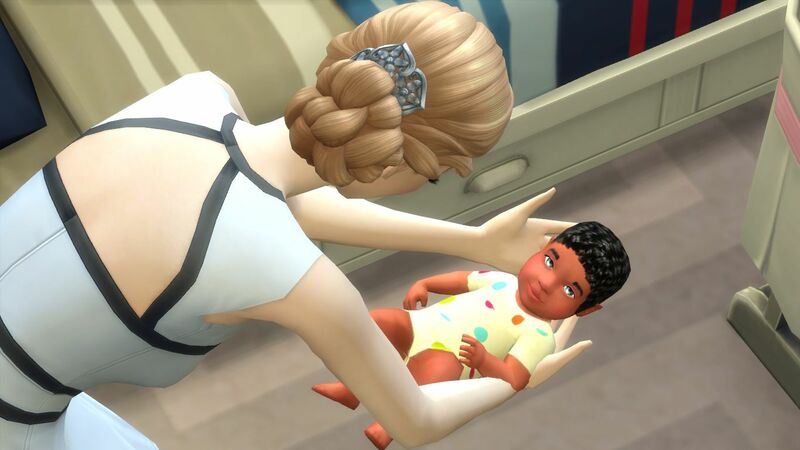 For example, if your babies have medium skin tones and you've my Baby Love Baby Skin Set installed in your game, then delete only the medium skin tones from your Mod folder and install the medium skins from this Sweet Baby Skin set. These are default replacement baby skins which means you can install only one baby skin file for one type of skin tone at a time. For example, you can install only one fair skin tone for baby girls at a time. If you need to use another fair skin tone mod from any other skin set, you must remove the previous fair skin file from your Mod folder. Once you install this set, these skins will automatically replace the matching EA skins of all the existing babies in your game. Also, new babies will be born with these skins and their skin tones will be determined by genetics of their parents. 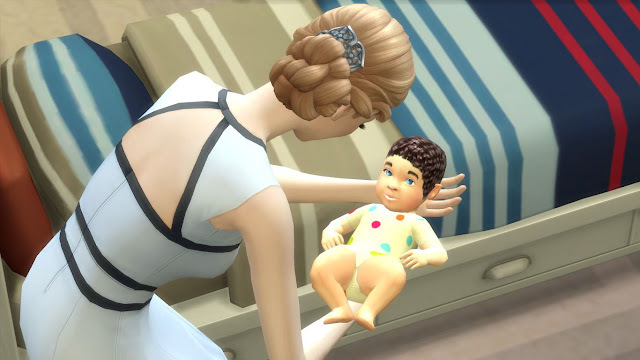 Deleting the mod files of these skins won't corrupt your saved game with babies, the babies will simply go back to their EA baby skins. Babies with these skins won't have any issues while aging up to toddler. I've tested it in my game. Recoloring is Not Allowed for this set. is perfect, the content is very excellent :D.